"Olivier, I am writing to express my feelings to you regarding our BAB session last week. I feel that this session was one of the best, most applicable exercises I have ever been through with my staff. The two individuals presenting were able to understand and audit our company and determine the issues present. They spoke to us and explained the information in a manner that we could understand and relate to. We are excited about the Lean Thinking Deployment Strategy as well as the Continuous Improvement initiatives within KAIZEN. We have some work to do within our own departments before we move forward, but after hearing the process and how simple some of the ideas are we are ready to begin. Thanks again for your help on this project!!!" "Yukon Brewing Company has made use of the YBDP to participate in two Business Advisory Board (BAB) sessions. The first, in October of 2007, brought experienced distillers to the Yukon - we spent two days with these participants, picking their brains to fill in our skeletal Business Plan. We learned where more work was needed and where answers were still missing, and set about filling these gaps through the winter of 2007/08. Beer season 2008 arrived, and our focus was back on beer for the summer, but by early fall we were on the verge of ordering equipment. In other words, we would be spending money instead of just time on the project - a good time for another review. Through YBDP we were able to participate in a second BAB session, this one at a distillery in southern Alberta. More questions, more answers, and more confidence in our Business Plan. We felt that we were developing the knowledge base to avoid most of the mistakes that others had made or seen. In our opinion, this program fit our needs to a tee - we had a Business Plan, written in-house and well understood. However, it had gaps, including missing information and assumptions. We were able to analyze the Plan, identify the gaps, and collect them into a single list. The program then enabled us to find answers to these questions in a group setting with qualified, knowledgeable individuals. A new level of confidence in our Plan was the result. We could have (and may have) gone forward with this project with a less complete Business Plan. However, through YBDP and the BAB sessions, we feel that the likelihood of a successful venture has increased dramatically. We highly recommend this program to others who are finding themselves with similar challenges in a venture that they are trying to bring to fruition." "As our company approaches a milestone in its development (...), we feel compelled to write in support of the highly effective pilot program that has greatly contributed to our company’s success. As beneficiaries of the program, we believe the YBDP is an efficient and effective business development program worthy of evolving from a pilot initiative. In our opinion this is due to three main factors: the program’s inclusiveness and its ability to be flexible or adaptable; the program’s focus on enabling participants while leveraging skills and resources; and, the program’s ability to foster a vested interest in participating companies through networking and the formation of Business Advisory Boards (BAB). Unlike many business development initiatives, the TBDP is inclusive and integrates expertise both from within government and from the private sector. The integration of these, sometimes diverse, perspectives provides well rounded guidance for new companies or companies that are trying to achieve the next level of success. Typically programs are designed in a manner that proponents must conform to them and not the other way around. While we understand and respect the need for accountability and due process, especially in regards to the use of public funds to encourage the development of private business, we feel that the efficacy of many programs is lost in the process. In our opinion, programs should be adaptable enough to accommodate a spectrum of needs in order to achieve overall goals. The YBDP has been flexible enough to accommodate our changing needs and we believe this has translated into achieving efficiency and effectiveness as a program, as well as our overall goals. The YBDP has enabled us to help ourselves and it has increased our own capacity to sustain our business. It has leveraged the skills and resources available to us which has in turn leveraged what we could have accomplished on our own. The contacts and credibility we have gained in the process will survive long after our involvement with the YBDP is ends. Finally, and what we believe is the real genius behind the YBDP as a program, it has connected us to others within our industry in a meaningful way that has developed a vested interest in our business. To put this statement in context, through the YBDP we have been connected to experts within the apparel industry that have taken a professional interest in our business through their involvement in our YBDP Business Advisory Board (BAB) sessions. This has translated into real help and assistance that in most cases money just couldn’t buy! Thank you for this opportunity to support a valuable program that has contributed so much to our emerging business. I hope that you and your colleagues are able to ensure the program’s longevity and that others are able to benefit from this program as much as we have. Please feel free to contact us with any questions and share our sentiments with whomever you deem appropriate." "YBDP has been invaluable to us during a period of rapid growth. By assembling various advisory boards over a period of time, our company was able to tap the expertise that we needed when we needed it. It is one of the most beneficial government program we have been involved with." "Klondike Kate’s could not have realized this (n.e. : all their improvements of their facilities and services, touring project targeting Europeans, sustainable orientation, mutual collaboration with the First Nations, etc. ), without the financial help and great management consultation and support from Olivier Pellegrin. 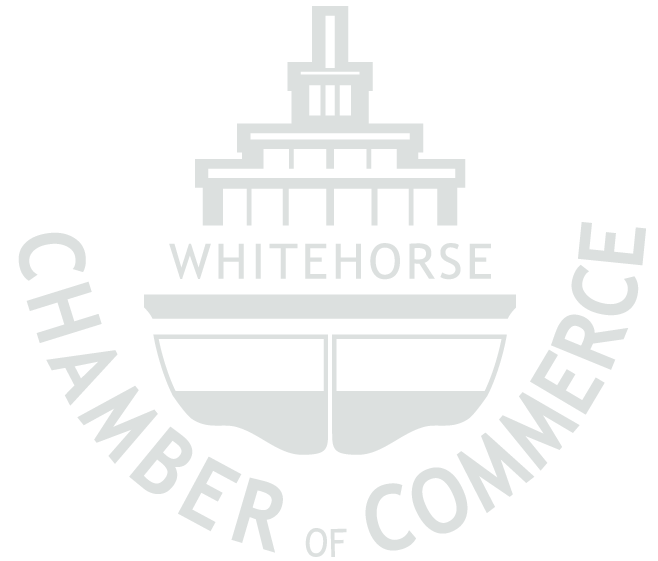 We would like to express our support for this excellent project in the hope to make it a permanent one as all the Yukon business would benefit from this. We would like to thank YBDP for their support towards our business." "We have gained so much in the process that it is really hard to express to you the gratitude we feel. Olivier Pellegrin, business advisor and project manager has gone above and beyond to help us to move ahead in our business goals. He organized our Business plan, Business Advisory Board meeting, facilitated the meeting and agreements. (..). Without Olivier I don’t think we would have progressed to the point we are at. He has assisted us with every area of our business. His expertise is vast (....). I would recommend that this program be extended to other business in the Yukon. Sometimes in small business you can feel overwhelmed and find it difficult to move forward because there are always other priorities and obstacles but the BAB has pushed us in a positive direction and helped us define our goals with clarity. The support and advice has left us feeling like we have a community of advisors that we can call on at anytime to help us answer questions that go beyond our expertise. Thank-you very much we really appreciate all your assistance." "With the support of the YBDP we have managed to stay at the forefront of what's happening internationally and while we are still waiting for reclamation mega-projects such as the Alaska pipeline or the Alberta oil sands to materialize, we are ensuring that we gain experience and profile on smaller projects in the north like the Carmacks Stewart and Minto Spur Transmission Line and the Faro Mine site. In my opinion, the YBDP helps maximize the local entrepreneur’s abilities and significantly increase the potential for faster growth."